No this is the second year I have received funding. I've been riding for around 5 years and competing around 4. I started as a way to spend more time with my dad and fell in love with racing from the off. I managed to get several top tens in the junior national series in 2014 my best result being second in Lincoln GP. 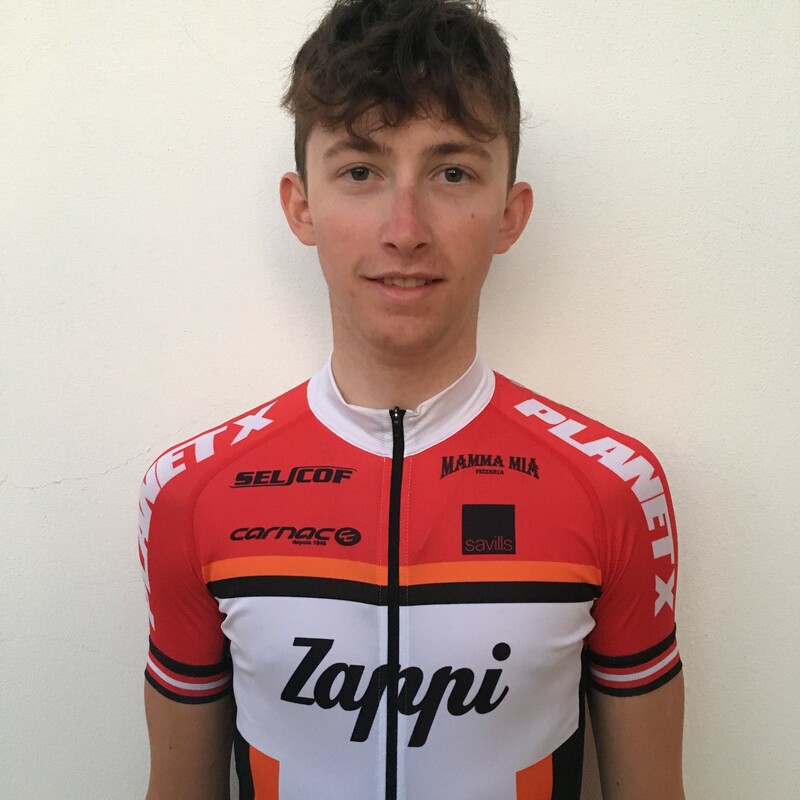 My highlights of my first year as an u23 were several top twentys in Italian nationals, competing and gaining experience in more UCI races I can count on two hands and featuring in the breakaway at the national champs with some top pro's. I am staying with the infamous Zappi team. A decision I am very confident with. Ran by the ex Italian pro Flavio Zappi the team has been running for several years in the heart of Europe. We begin our season racing and training in the Algarve in Portugal before moving over too Italy for the remainder of the season. Competing in top u23 and UCI races it is the ultimate team for an British u23 rider. Former riders include Dan Pearson and James Knox of team Wiggins. The season began on the 21st racing in Merida Spain. We follow to have several other races in Portugal and Spain including a couple of UCI's. We then move on to Italy to compete in UCI 1.2 and UCI 1.2u23 races with some of the top u23's in Europe (Italy had 15 riders go World tour/Pro conti in 2015 alone). After that we hopefully have a stage race in Slovakia before coming home to do Beaumont and national champs before back out to do the Giro Val D'aosta (known as the baby Giro D'italia) and finishing off the season with the prestigious Piccolo Lombardia (baby Lombardia) of course this isn't all set in stone as it depends on getting race entry's etc.